Our Practice - CHRISTINE M. CHANG, O.D. Southern California College of Optometry. Dr. Chang is certified by the National Board of Examiners in the treatment and management of ocular diseases. 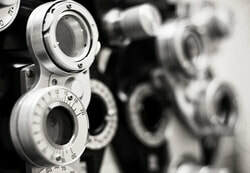 She is an exclusive member of Vision Source, North America’s premier network of independent private practice optometrists. is to help you see better while maintaining the health of your eyes.